Emirates NBD, a leading bank in the region, has launched a brand new edutainment mobile simulation game, ‘Banki’ in its efforts to promote financial literacy in the UAE. Through its highly engaging and informational interface, Banki will target the nation’s youth to become economically aware at a young age and consider careers in the banking and financial services sector. Divided into five main sections, Banki will allow users to: play five engaging games that help them understand the concept of savings, trading, simple financial transactions and digital banking; learn about the basics of banking products, financial services, stock markets, economics and additional topics aligned to the Ministry of Education’s curriculum; build a customised profile to create their personalised financial avatar; discover the latest information on Emirates NBD’s internship opportunities, career fair events and employment processes: and hone their skills in resume building, interviewing, communication and presentations. By directly engaging with the youth on a custom-built platform that is accessible to them on their smartphones, Emirates NBD will be reaching out to young ambitious Emiratis who can one day be recruited into our workforce. As the largest bank in the UAE, we have a long-term commitment to supporting the UAE government’s Emiratisation efforts and remain focused on building a strong nationalised workforce filled with Emirati leaders,” added Al Sayed. Available on both the Google Play and Apple stores, the edutainment game can be downloaded for free on either operating system and be used simply by registering with an email ID. Banki fulfils two of Emirates NBD’s core commitments of fostering financial literacy in the UAE as well as reinforcing its Emiratisation strategy and is the first of its kind to be launched by a bank in the UAE. In its efforts to recruit leading Emirati talent, Emirates NBD has adopted an ambitious Emiratisation strategy that runs a series of employment training programmes which reflect the bank’s strong commitment to nurturing young Emirati talent. Under its under its Al Misha’al programme, which is targeted at high school graduates, The programme inducts high school graduates into the bank following three months of rigorous training in various job-related subjects such as banking operations, branch automation, and customer service, among others. Emirates NBD is a leading banking Group in the region. As at 30th September 2016, total assets were AED 446 Billion, (equivalent to approx. USD 121 Billion). The Group has a significant retail banking franchise in the UAE and is a key participant in the global digital banking industry, with over 90 per cent of all financial transactions and requests conducted outside of its branches. The bank currently has more than 220 branches and over 955 ATMs and CDMs in the UAE and overseas and a large social media following, being the only bank in the Middle East ranked among the top 20 in the ‘Power 100 Social Media Rankings’, compiled by The Financial Brand. 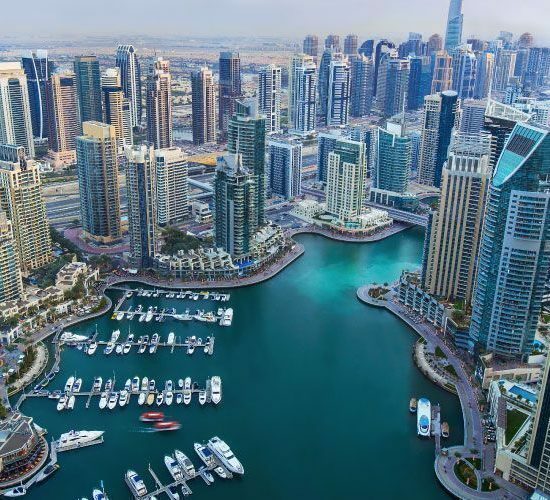 It is a major player in the UAE corporate and retail banking arena and has strong Islamic Banking, Global Markets & Treasury, Investment Banking, Private Banking, Asset Management and Brokerage operations. Ratings agency Moody’s recently upgraded the bank’s long-term deposit and senior unsecured ratings to A3 and its baseline credit assessment (BCA) to ba1. In addition to the bank’s strong funding and liquidity profile, the upgrade reflected the bank’s improved loan quality, and its higher loss-absorption buffers. 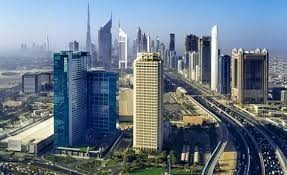 The Group has operations in the UAE, Egypt, the Kingdom of Saudi Arabia, Singapore, the United Kingdom and representative offices in India, China and Indonesia.